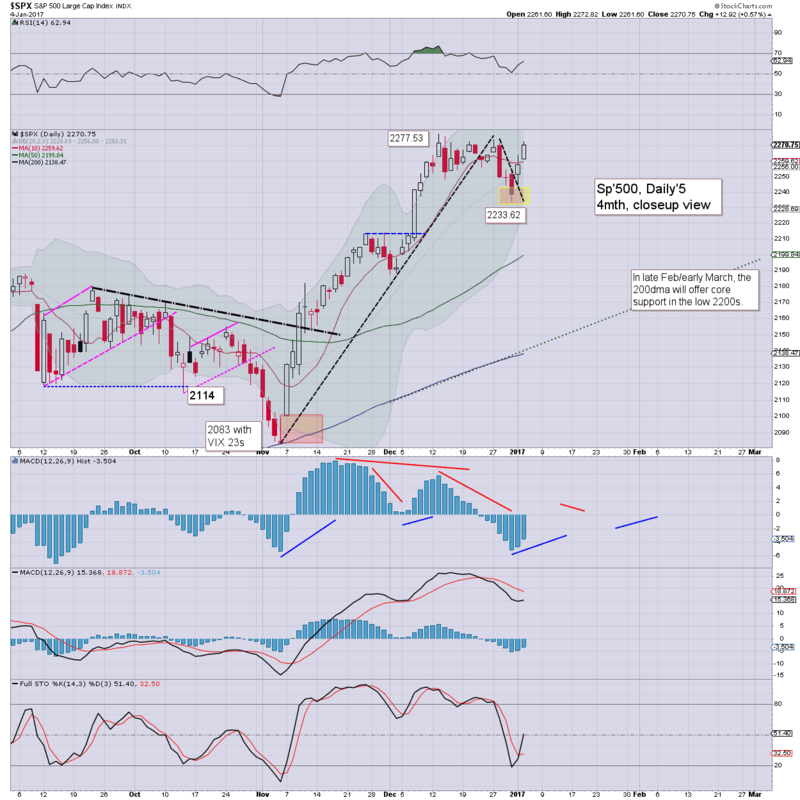 US equities closed broadly higher, sp +12pts @ 2270. The two leaders - Trans/R2K, settled higher by 1.0% and 1.6% respectively. 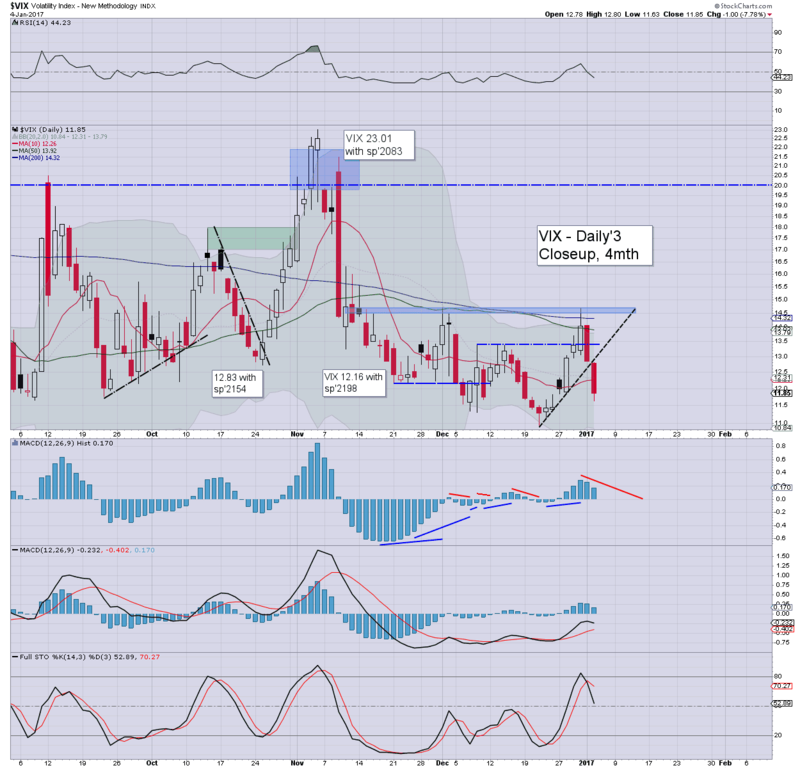 VIX settled -7.8% @ 11.85. 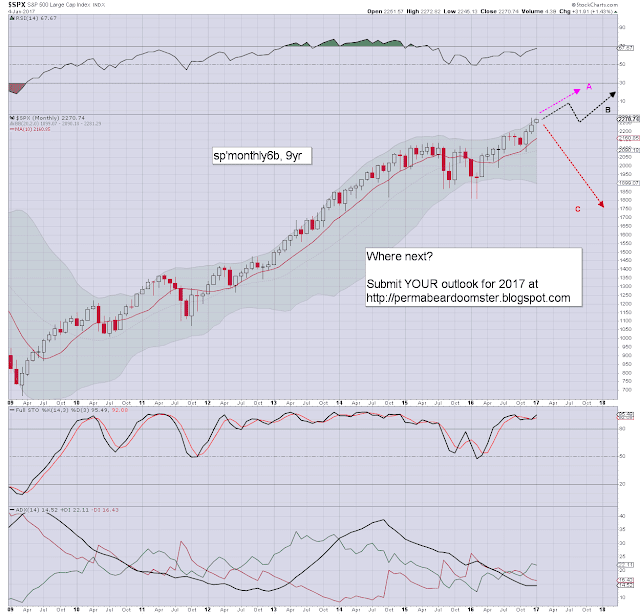 Near term outlook offers very little to the bears, as daily price momentum is swinging back to the bulls. Dow 20k and the sp'2300s are due. A second day of gains for most equity indexes, with the sp'500 coming to within just 5pts of a new historic high. Underlying MACD (blue bar histogram) cycle continues to tick upward. At the current rate we'll see a bullish cross next Mon/Tuesday. Upper daily bollinger is offering the 2280s in the near term... 2290s seem viable next week. VIX is naturally in cooling mode, already falling into the 11s. If Dow 20k this Friday - when the monthly jobs data is due, VIX could easily settle the week in the 10s. 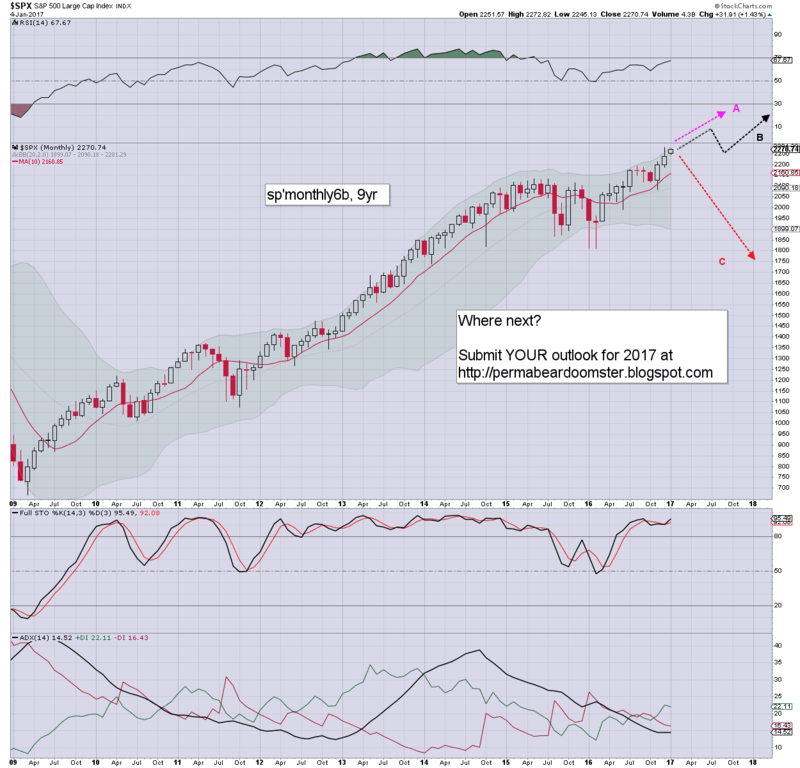 I'm still taking end 2017 predictions for the sp'500, along with any other thoughts, and will look to publish them - with my own outlook, this weekend.